The battle over women’s undergraduate education at Columbia was a highly publicized, contested one, and ended not with coeducation but with the establishment of Barnard College. By contrast, with much less fanfare but no less determination, women gained admission to Columbia’s graduate and professional schools at a steady rate throughout the late nineteenth and early twentieth centuries. 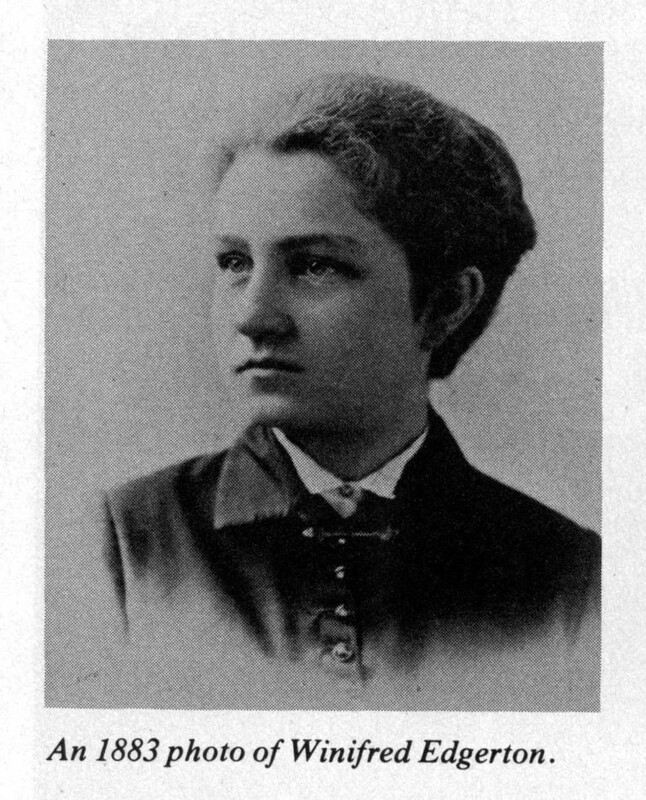 But other women followed the path that Edgerton had blazed, defying Dix’s claim that the female astronomer had “established no precedent” for other women. Though it remained quite difficult for women to gain admission to Columbia’s graduate and professional schools, women did gain admission and attend Columbia at a steadily increasing rate. In 1895, the Faculty of Philosophy voted to admit female graduate students and qualified Barnard undergraduates to their courses, with the permission of the instructor. In 1897, the Faculty of Pure Sciences followed suit. John Burgess’s Faculty of Political Sciences agreed to admit women in 1898, but only because then-President of the University Seth Low convinced Burgess that a wealthy benefactor would fund a new Political Science professorship if women were allowed to attend the School’s courses. (Later, Burgess discovered that that “benefactor” was President Low himself). In 1900, Teachers College affiliated with Columbia, thus adding a significant number of women to its matriculation list. 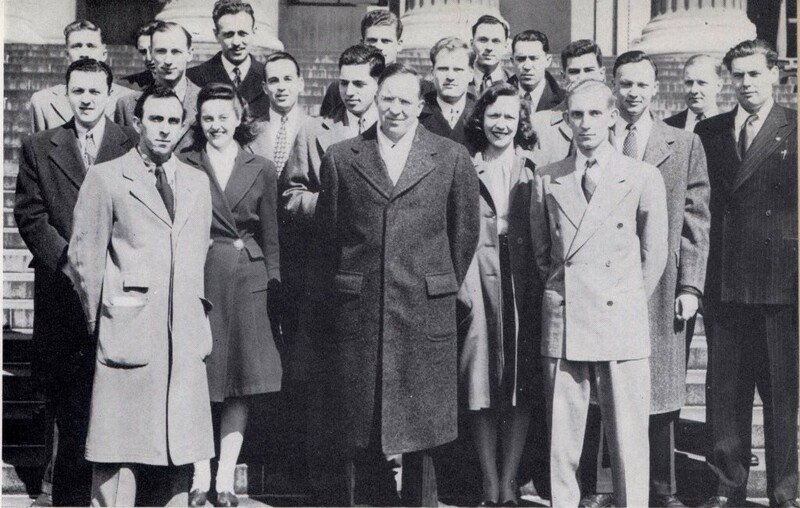 American Society of Mechanical Engineers - Management Division, Columbia Engineer 1947. By the postwar era, Columbia’s campus looked very different from the one over which Reverend Dix and his Board presided in the late nineteenth century. Women made up a significant number of students in the graduate and professional schools, and attended many of the classes offered on campus. Only Columbia College remained all male. As with the University’s graduate schools, the financial and academic needs of the College, rather than the demands of activists, would fuel the push for coeducation at the undergraduate level. Rosalind Rosenberg, “’The Woman Question’ at Columbia: From John W. Burgess to Judith Shapiro” Delivered at the Columbia University Seminar on the History of the University, February 17, 1999; Morgan Dix Diary, excerpts pertaining to Columbia College, compiled by Roger Howson, 1856-1906, Friday, January 18, 1884. Columbiana Manuscripts, University Archives, Rare Book & Manuscript Library, Columbia University in the City of New York. Women: Graduate Study. Historical Subject Files, University Archives, Rare Book & Manuscript Library, Columbia University in the City of New York. Robert McCaughey, Stand Columbia: A History of Columbia University in the City of New York, 1754-2004. (New York: Columbia University Press, 2003), 511; Women: Graduate Study. Historical Subject Files. Women: Graduate Study. Historical Subject Files.